« Township Comedy pushes North End Resolution through. Few Grovers present. 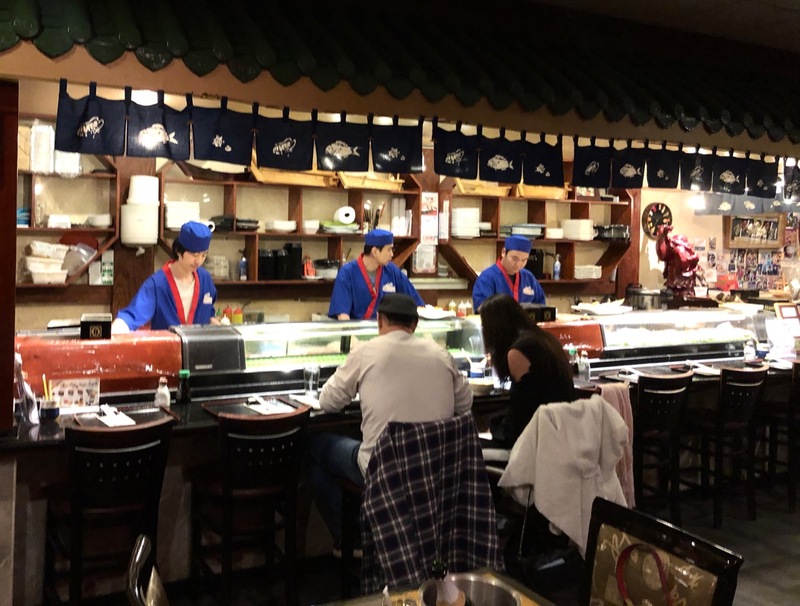 A fabulous Japanese restaurant :”SUMO” in Wall Twp. SUMO table. They all look like this. These guys are waiters, so don’t mess with the wasabi. All photos by Paul Goldfinger © November 27, 2018. 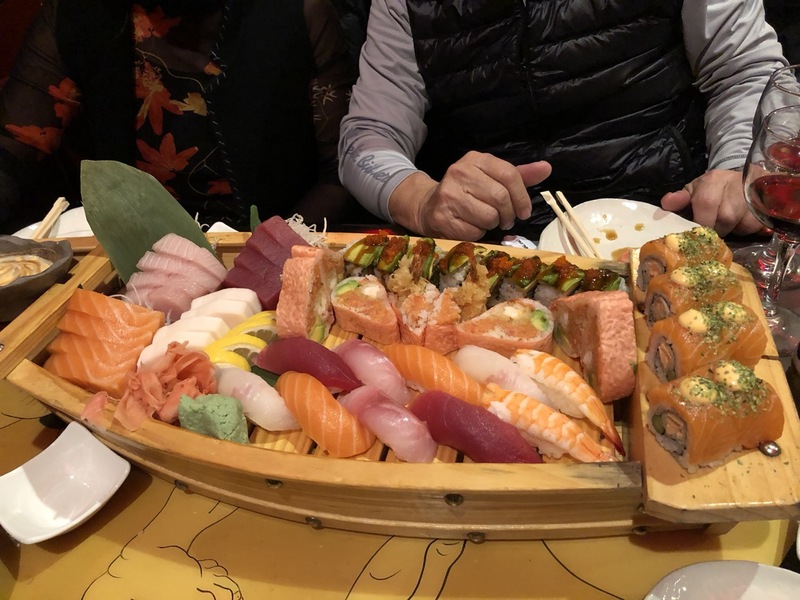 Do you like sushi like we like sushi? We discovered a fabulous place. Our friends Jake and Vivian recommended it. 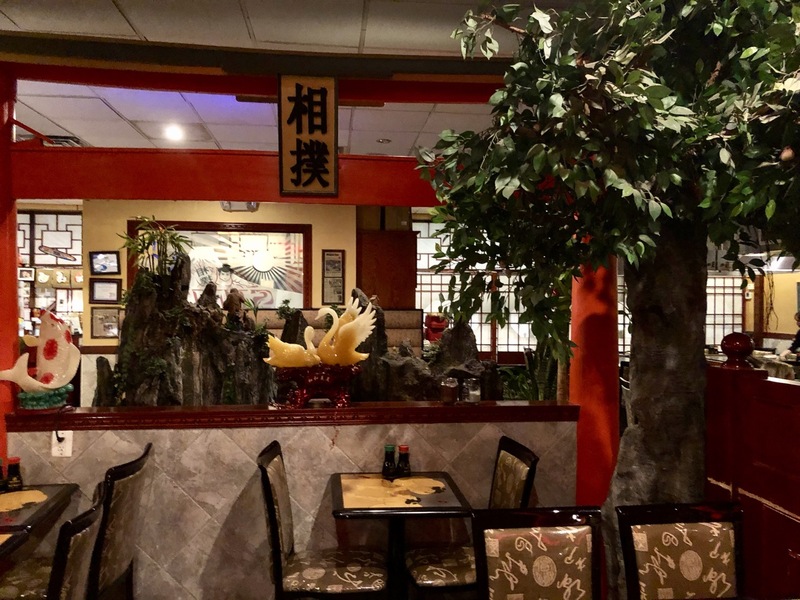 It is the Sumo Hibachi Steakhouse and Sushi Bar in Wall Twp, 10 minutes from Ocean Grove. You must try it. We also had miso soup (great! ), salad, squid, sweet potatoes, edamame, and red bean ice cream. WOW. Take 35 south across the bridge and continue till you get to Allaire Road where Whole Foods is on the right. Turn right onto Allaire Rd. and then turn right into that mall. Sumo is on the left, next to Whole Foods.